Brighten up! 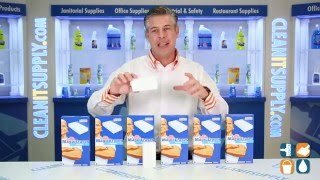 Mr. Clean Magic Eraser Pads allow you to quickly and easily erase set-in dirt and grime. Formulated with water-activated micro-scrubbers, these powerful cleaning pads reach into nooks and grooves to remove built-up grease and soap scum. 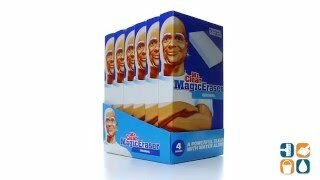 The unique formula of these Mr. Clean Magic Erasers does wonders with scuff and tough crayon marks. Mild detergent is safe on sensitive skin: no gloves required. Stock up on Mr. Clean cleaning products today and save! Buy in bulk and save even more!